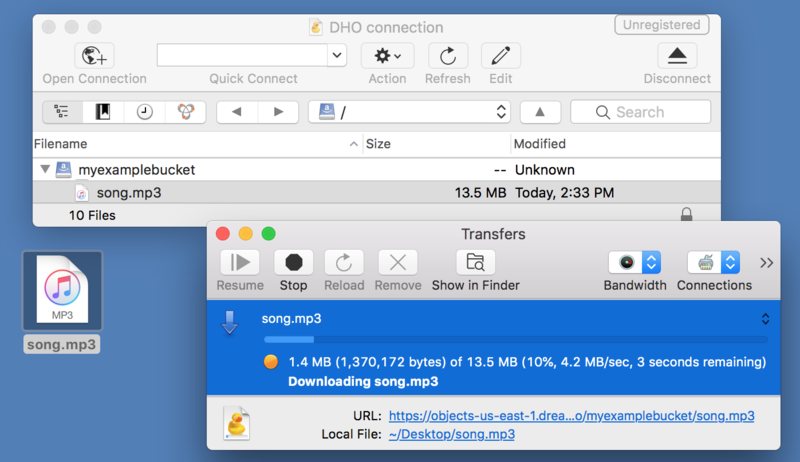 Cyberduck is an FTP, SFTP, and WebDav client as well as a cloud storage browser for Mac and Windows. You can use Cyberduck to connect to your DreamObjects account. 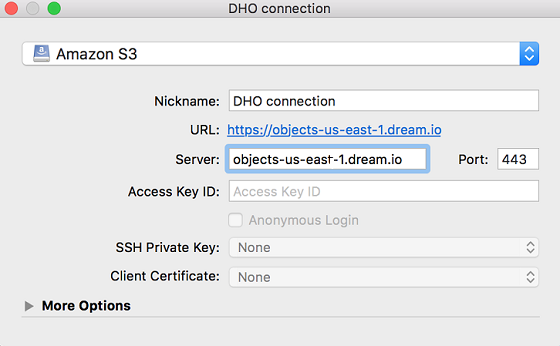 The following describes how to use Cyberduck to connect to your DreamObjects account. Open Cyberduck and click the + button on the bottom left..
From the dropdown, select 'Amazon S3'. Nickname: Give your bookmark a name so you can remember what this connection is for. Close the bookmark to save it. 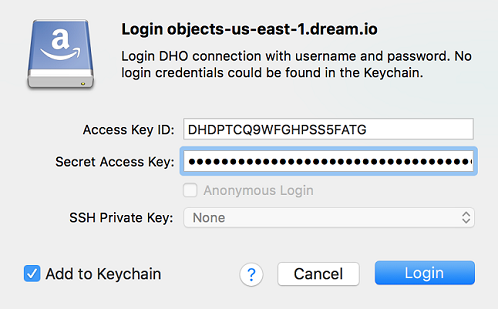 Double-click on your newly created bookmark and enter the Access Key and Secret Key for the DreamObjects user/buckets to which you wish to connect. If you are using a Mac, the ‘Add to Keychain’ option appears. If you choose to save your credentials, you won’t be prompted to enter them again. Cyberduck makes it very simple to manage your data. 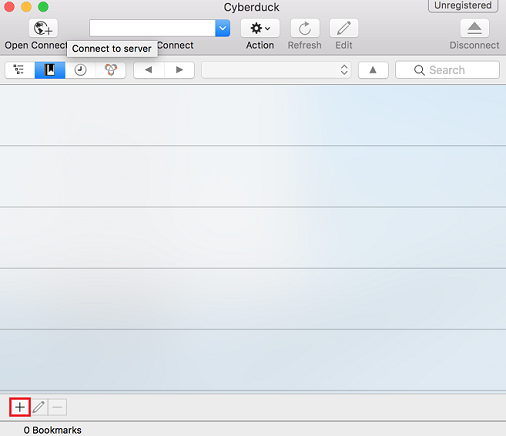 Once you’ve connected to DreamObjects, simply click and drag files and folders to and from Cyberduck. 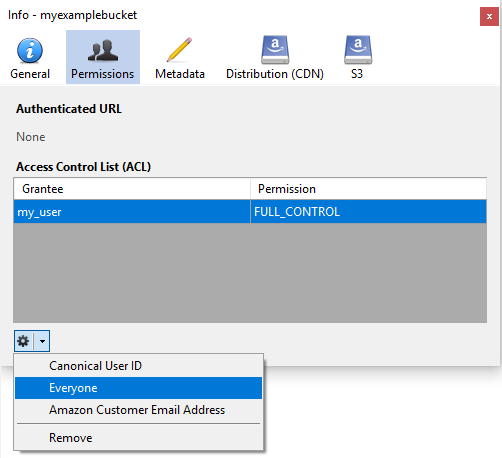 Cyberduck can be used to update your Bucket or Object permissions. The example below shows how to adjust your Bucket's permissions, but the steps are exactly the same to change an Object's permissions. Connect Cyberduck to your Bucket. A list of your Buckets displays. 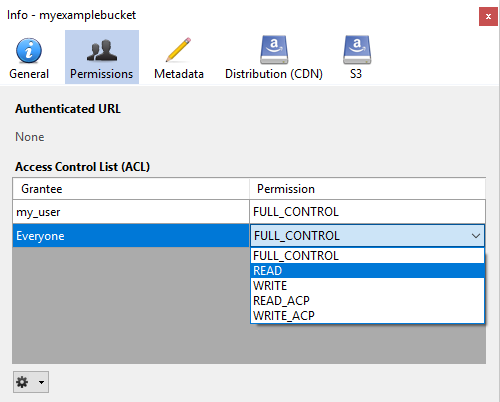 To change the permission from PRIVATE to PUBLIC, click the Bucket name. In the top pane, click the 'Get Info' button. This opens a pop-up box. In the pop-up box, click the dropdown icon on the bottom left. From that dropdown, choose 'Everyone'. A new Grantee is listed. To the right of the 'Everyone' Grantee, click the box. From that box, choose 'READ'. Finally, click the 'General' tab to ensure your new settings are saved. 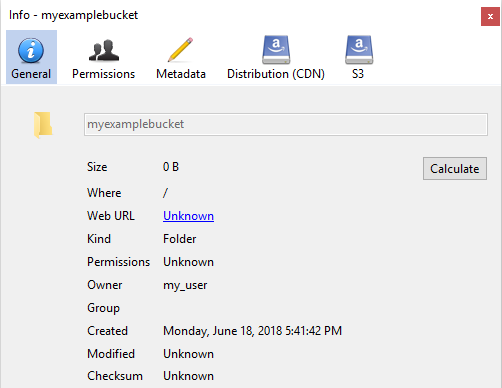 If you check your Bucket or Object permissions now, you'll see they are set to PUBLIC. Article last updated April 08, 2019 22:41 PST. How do I upload my site to DreamHost?